High blood pressure (Hypertension) affects approximately 25 percent of the adult population in developed countries. Over time, high blood pressure can damage the blood vessels and lead to other conditions such as Atherosclerosis and Coronary heart disease. It can be caused by underlying conditions or factors such as kidney disease or excessive alcohol (secondary hypertension), or in the case of primary hypertension, a specific cause cannot be found and this accounts for around 90% of cases. There is a tendency within the medical profession to over-prescribe pharmaceutical medication (often with very undesirable side effects) without addressing diet and lifestyle. High Blood pressure is a serious condition and does require the input of a qualified health professional, but a holistic approach is effective for the vast majority of people and will tend to lower your blood pressure in a natural, gentle way. Fibrin is a protein that when activated forms fibrinogen, which is responsible for blood clotting. This is an important and protective mechanism that protects the body from excessive bleeding, say, when you cut yourself. However, in many instances, this process becomes over-activated or becomes "stuck” in high gear. This irregular clotting has been implicated in a variety of serious health conditions, namely, cardiovascular disease. The magnificent thing about Nattokinase is that it appears to have many, if not most, of the benefits of pharmaceutical agents designed to regulate blood clotting (e.g. Warfarin, Heparin, t-PA, Urokinase, etc), without any of the side effects of these medications. Furthermore, while these medications have to be injected and only provide a very brief time of benefit (a few hours), Nattokinase is effective when taken orally and its benefits linger many times longer. Standard doses of Nattokinase vary from 250-1,000 mg and positive effects can be seen with as little as 50 mg. Blood clots form when strands of protein called fibrin accumulate in a blood vessel. In the heart, blood clots cause blockage of blood flow to muscle tissue. If blood flow is blocked, the oxygen supply to that tissue is cut off and it eventually dies. This can result in angina and heart attacks. Clots in chambers of the heart can mobilize to the brain. In the brain, blood clots also block blood and oxygen from reaching necessary areas, which can result in senility and/or stroke. 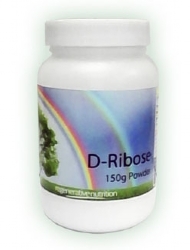 Fibrinolytic enzymes are normally generated in the cells of the blood vessels. As the body ages, production of these enzymes begins to decline, making blood more prone to coagulation. Since these cells exist throughout the body, such as in the arteries, veins and lymphatic system, poor production of thrombolytic enzymes can lead to the development of clotting prone conditions virtually anywhere in the body. Researchers from Biotechnology Research Laboratories and JCR Pharmaceuticals Co. of Kobe, Japan, tested Nattokinase’s ability to dissolve a thrombus in the carotid arteries of rats. Animals treated with Nattokinase regained 62 percent of blood flow, whereas those treated with plasmin regained just 15.8 percent of blood flow. Researchers from JCR Pharmaceuticals, Oklahoma State University, and Miyazaki Medical College tested nattokinase on 12 healthy Japanese volunteers (6 men and 6 women, between the ages of 21 and 55). They gave the volunteers 200 grams of natto (the food) before breakfast, and then tracked fibrinolytic activity through a series of blood plasma tests. The tests indicated that the natto generated a heightened ability to dissolve blood clots: On average, the volunteers’ ELT (a measure of how long it takes to dissolve a blood clot) dropped by 48 percent within two hours of treatment, and volunteers retained an enhanced ability to dissolve blood clots for 2 to 8 hours. As a control, researchers later fed the same amount of boiled soybeans to the same volunteers and tracked their fibrinolytic activity. The tests showed no significant change. Nattokinase appears to have the added benefit of significantly reducing elevated blood pressure (an often concomitant condition in cardiovascular disease risk factors, such as high fibrin). Nattokinase appears to be safe, and has been used for over 1,000 years safely with no reports of toxicity. Various other nutritional supplements / herbs have been reported to have fibronlytic activity; however, the potency of Nattokinase appears to be superior. 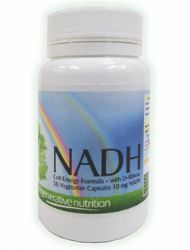 Furthermore, Nattokinase also appears to be an activator of various other metabolic enzymes and vitamins, cleaving them from their inactive to their active forms. 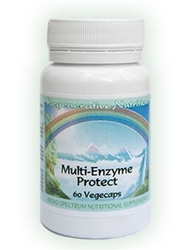 The strength and magnitude of this direct support for the metabolic enzymes of the body, from an oral enzyme supplement, is unique to Nattokinase and shows great promise as a nutritional supportive agent in exciting and diverse ways. 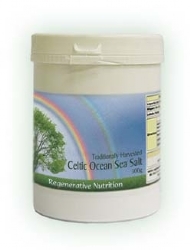 Take only healthy salts Ionic Minerals / Celtic Sea Salt. Surprisingly, taking the correct type of salt is usually an essential part of a blood pressure normalising programme; see the article on Celtic Sea Saltfor more details and an important discussion of this aspect. High Blood Pressure & Salt - All Salts are NOT the Same! Science has arrived at some dangerous conclusions based on the wrong salt. 99% of the world's research on salt is dome on commercial table salt. We recommend that the addition of healthy natural salts to your diet are vital in cases of high blood pressure and recommend Celtic Sea Saltand Ionic Minerals. Processed salt is not real salt, and should be avoided at all costs, this is true of all people whether they have high blood pressure or not! Part of this process is cutting all processed foods, which are laded with sodium from your diet. California biochemist Dr. Jacques de Langre has been studying the health benefits of salt for over 30 years. He has a Ph.D. in biochemistry from the University of Brussels. He wrote two books on this topic, "Sea Sail's Hidden Powers" and "Sea Salt, the Vital Spark for Life." Refined salt is toxic to the body, but Dr de Lange believes that Celtic Salt is extremely healthy and has the opposite effect of refined salt. Following is an excerpt from an article by Sam Biser including the transcript of his interview with Dr de Lange. "The most convincing fact that- salt is critical to life is that the amniotic fluid is salty." I guarantee, after you read this interview, your views on salt will never be the same. These contain mistletoe + other herbs for the circulation. If your BP is particularly high or stubborn condition instead of circulate capsules you can try a larger amount of mistletoe herb (note this is not the toxic berries but the perfectly safe leaves of the herb) by taking mistletoe powder. Excellent for stress this deep, broad acting, yet calming herb should be considered as a regenerative aid to health, in many cases. Mistletoe has a wonderful impetus for a natural healing of the nervous system. Its other main actions include a kind of systemic action on the glandular system, helping to redress hormonal imbalance, including the pancreas. 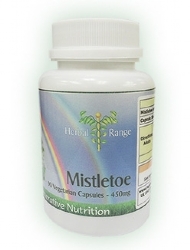 "Since mistletoe benefits the whole glandular system it also aids the metabolism. At the same time it favorably influences the pancreas so that through drinking mistletoe tea over a long period, diabetes loses its original cause. Especially people who suffer from chronic metabolic disorders should try to drink mistletoe tea regularly for six months...."
Prevent Heart Attacks with Cayenne Pepper. 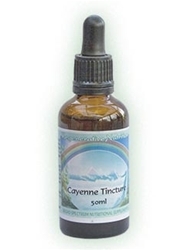 The tincture of Cayenne is appropriate to have at the ready, for fast acting emergency use if you feel a heart attack is coming on, or even better use daily as a preventative for heart attacks. See article on Cayenne Pepperfor more details. 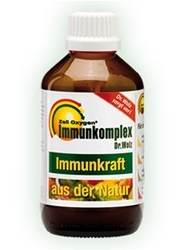 Support the heart with Immuncomplex. The heart muscle requires oxygen more so than any other muscle in the body. Angina and even heart attack is partly due to lack of oxygen in the heart muscle. The respiratory enzymes in Immunocomplex (also contains Chromium food state to be discussed later in this article), help to make available ore oxygen for the heart. This is especially important for heart weakness ad heart failure. 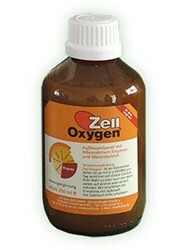 To some extent Cayenne pepper helps with this oxygenation aspect. These minerals and trace elements can often relieve high blood pressure when other measures fail. They have a universal health benefit as we in the civilized world, with our farming methods tend to be mineral and trace element deficient. They make a sensible addition to any health regime. Adding a teaspoon of superbiomin to a glass of water and sipping one or two glasses daily gives the best results. Superbiomin is also available in a capsule with Boron and vitamin D for arthritis sufferers and those who are sun-light/ vitamin D deficient. (called colloidal minerals with Boron and vitamin D). 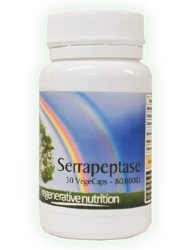 The disadvantage of the capsules is that the quantity of superbiomin is limited and that they are not added to water. (Adding the powder to water and sipping throughout the day programmes the water for better cell hydration, and may stabilise the energy field of the person more. This issue is alluded to in the information given below concerning balanced charges in the body and para-magnetism. Superbiomin is actually Paramagnetic volcanic rock powder that contains all the minerals and trace elements in the earth's crust (90) in colloidal form. 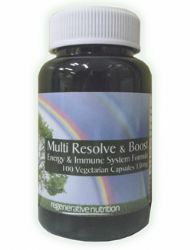 Works in an opposite but complementary way to Ionic Minerals and Trace Elements . People today are suffering from many forms of chronic illness; a main contributory cause, is the mineral deficient soils that bear our crops. 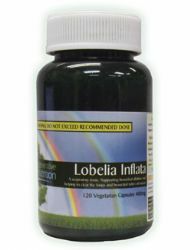 Superbiomin (Schindele's Minerals), works by providing a full spectrum of minerals and trace elements, to make up for the deficit in our diets. Mother nature knows best. Since we are now so removed from natural situations, the most successful way of restoring optimum health is by observing and applying all the good things that we have left behind from nature. There are several groups of extremely healthy and long lived peoples around the world such as the Hunzas of Pakistan, and the Vilcabamba tribe of Equator. A number of Hunza men and women over 120 years old (living to 140 yrs old is not a rarity), still work in the fields every day. What do they have in common - mineral rich water. Different from other mountain cultures is their cloudy grey water. It contains a fine rock dust created by the glaciers higher up. As they slowly slide across and grind the rock, the melting ice mixes with the rock dust creating a rock slurry that finds its way into streams and rivers. This mineral rich water is used for drinking and to irrigate soil and crops. Amongst many native cultures it is known that when flooding occurs, mud and silt from the rivers mineralise pastures, replenishing deficiencies in the soil that have occurred through farming the land. Our soil lacks in varying amounts, the very minerals and trace elements that we need for good health. Plants also require the same full spectrum to be strong and resist parasites. Modern agricultural methods of farming are very destructive. Fertiliser is used containing only three minerals, Nitrogen, Potassium and Phosphorus; this causes quick, forced growth, but does not provide balanced nutrition for plants. The application of pesticide (that is necessary due to the inherent poor resistance of the plants) to crops, penetrates into soil killing off beneficial soil bacteria. From the many letters of my clients who take the mineral flour, diseases disappear that, up to now were considered incurable. After only a week diabetic values of 280 or more are reduced to 80-90. Gout disappears, the blood pressure and other values balance out to normal. But if one stops taking the mineral flour for several weeks, all complaints begin to return". "I am 66 years old and have had depressions for three years, after taking the stone powder for eleven days. My depressions disappeared. My loss of hair stopped, my backache went. I am full of the joy of living ". Schindele notes that 90% of all diseases of human beings, animals, and plant are caused by a lack of mineral elements. Although health is a complex matter it does seem that it is underpinned by the many roles of the minerals and trace elements in our diet and water. Inside us and around us, are millions of ions - groups of atoms which carry either a positive or a negative charge. Anions are negatively charged ions, cations are positive charged. When nature is balanced, these two ions create a unified field of energy present every where, called a paramagnetic field. 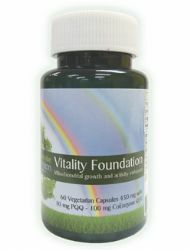 This field is present in all levels of organ living matter including the human brain. Every cell in the body contains a balance of energy which keeps each cell individual, in perfect suspension with it neighboring cells - a colloidal suspension. High concentrations of anions disrupt this balance, the suspension is broken down leading to cellular coagulation, and dysfunction. The unified field has become unbalanced, in favour of anion dominance, we have little contact with what we need these negate these positive charges. How do we redress this imbalance? The highly paramagnetic rock dust has the effect of neutralising excesses of both positive and negative charges, bringing balance and homeostasis (the natural balance of the organism). Water is an important contact with nature, but nowadays is very unlikely to be highly paramagnetic. 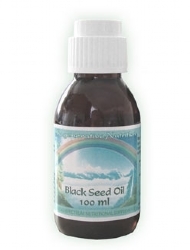 Thus the paramagnetic rock dust can provide this very important and harmonising effect on our systems, neutralising external fluctuations in our metabolic and nervous systems, aiding sleep, relieving stress, and improving many other health conditions, refreshing and invigorating the whole organism. 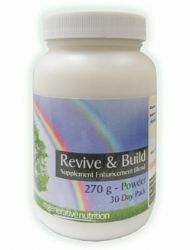 A daily intake of paramagnetic rock dust affords you the daily contact with this source of paramagnetic energy and over 90 minerals and trace elements. 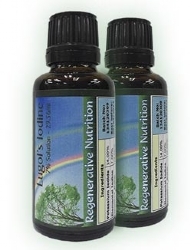 These two different sources of minerals and trace elements (colloidal paramagnetic and ionic) provide a balanced regime of remineralisation. So even though the amount of major minerals is small in the volcanic rock drink, there is a catalytic effect from the whole swathe of trace and ultra trace elements which improves overall uptake of major minerals in the diet. Hypertensive patients who are overweight are encouraged to lose at least some weight; our nutritional programme, the Core Regime will tend to normalise weight and will also bring the body into balance naturally which in itself will help high blood pressure, regular exercise discussed below will play a very important role. This is essential; for a positive impact on blood pressure, exercise doesn't necessarily need to be strenuous but it does need to get the heart rate up. If you are overweight / unfit, start gently with for example walking up and down the stairs regularly. Good cardiovascular exercise for around 45 minutes a day would be ideal, but if you cannot manage this, work your way up and at least try to incorporate some daily exercise. Your exercise programme should be discussed with a qualified person. A certain amount of exercise is needed just to maintain a sufficient circulation of blood, and especially lymph, or extra cellular fluid. The lymph system does not have a direct connection to the pumping action of the heart it is pumped round the body with the aid of muscular movement only. When people become sedentary, especially, the sheer lack of movement produces lymphatic stagnation, so the body is not able to properly clean itself or carry the nutrients, fluids, and oxygen properly. In practice this can account for as much of a health problem as the original problem, and tends to make the symptoms of the illness worse. There is a certain type of exercising, dubbed the healthiest exercise invented by man called Rebounding. If you can walk at all, you can do it, no matter how weak or infirm, just do it to your own level and endurance time, even if only a minute at a time at first. Rebounding is undertaken on a 'mini-trampoline'. Alcohol should be restricted to a MAXIMUM of fourteen units weekly for men and nine for women, more than this can as much as double the risk of developing high blood pressure. Excessive alcohol stresses the organs, in particular the heart, liver, pancreas and brain which has considerable impact upon blood pressure. However red wine contains many valuable nutrients that in moderation can help cardio-vascular health. Guinness, also of course in moderation aids relaxation and the nervous system and may help blood pressure. Spirits deplete the body of vital nutrients and should be avoided. Chemical beers and lagers should be avoided. Smoking causes considerable damage to the heart and arteries, the heart rate increases, blood vessels are constricted and blood pressure rises. Addictions are hard to conquer, but there are natural remedies that will help. This is a simple, yet highly effective change you can make; two pints a day is a good guideline. Dr. F. Batmanghelidj (Author of Your Body's Many Cries for Water - highly recommended reading), concluded that many health disorders are due mainly to chronic dehydration, and certainly dehydration can be a major contributory factor to high blood pressure. Water is needed to help clean away metabolic toxins, and to carry the nutrients to the cells, with the correct dilution of the blood and extra cellular fluids. If the body is lacking in water, it automatically tries to hold on to the water that is available and this causes vascular constriction and a thickening of the blood. Water must not contain any chlorine, flourine or other noxius chemicals: it should be well filtered or still spring / mineral water. Osmotically filtered water and distilled water may be used, but colloidal minerals (Superbiomin) and a little ionic minerals should be added. Regular consumption of de-mineralised water i.e osmotically filtered, or even worse distilled should be avoided, and in my opinion can be dangerous for the health in the long term. Distilled water should only be used as a detox in the short term. How water is structured and programmed is very important, add some rock dust (Superbiomin and sometimes some green clay for detox) be like a Hunza ! Personally I experience that re-hydration is better with some rock dust added. The best water we can drink is wild unpolluted river water, and other natural sources such as springs, so in practice non-carbonated spring or mineral water is best. Failing that, filtered tap water can be used. Our high quality Under the Sink Filtersor similar specification filters, remove far more toxic chemicals than the jug filters commonly in use, and are more convenient and cost effective for a family, providing 'pure' water for all cooking and drinking. This will eliminate some of the cocktail of harmful chemicals that are in our water supply. Distilled water lacks minerals and oxygen, and carries the information pattern of the mains element used to boil it. Avoid wherever possible drinks that dehydrate the body such as tea, coffee and processed, sugary drinks. 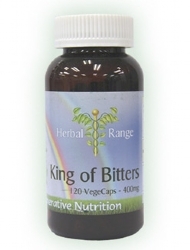 Reducing levels of stress and anxiety is essential for your holistic blood pressure regime. Ensuring all of the above changes are made will themselves dramatically impact on your overall sense of well-being. We highly recommend the ancient gentle exercises involved in the practice of Tai Chi Chi Kung which can have significant impact upon your metal state, lots of classes are now available and study material you can work with at home. The American Journal of Hypertension published a study showing that daily meditation caused a measurable drop in blood pressure in at-risk teenagers, so not only is this a good way to relax, but can impact directly on your blood pressure! Processed and fatty foods contribute to high blood pressure and should be avoided. It is widely accepted that a high fibre diet packed with fruits and vegetables can lower blood pressure. We go even further and recommend as far as possible a raw food diet; The most powerful therapeutic diet to help overcome disease is a special type of raw food diet; although a raw diet is our best chance of health and recovery, we may not want to do this completely, or for some reason do not want to take that seemingly revolutionary step, but the basic structure can be used by anyone to achieve full radiant health. An increasing number of people are discovering the incredible health benefits of raw diets that include raw vegetable juice, raw protein and raw fats. Please visit our Dietary Guidelinesfor more information. Cholesterol is a natural element that protects our nerves, cell membranes; skin, brain cells as well as playing an important role for our hormones and the immune system. Research shows that people with low blood cholesterol develop the same problems as those with high cholesterol! According to the British Medical Journal 1991 (303:953-957), following a low fat, low cholesterol diet decreases cholesterol by as little as 0-4%. Harvard University came to the conclusion in 1987 that "we calculate a gain in life expectancy of 3 days to 3 months from a lifelong program of cholesterol reduction." Other studies have found that low cholesterol is related to a higher overall rate of mortality than typical cholesterol levels. Deliberately restricting natural fats in your diet is unhealthy. Individuals with raised cholesterol levels are often advised to cut back on their intake of foods rich in saturated fat and cholesterol such as butter. However, the majority of cholesterol in the bloodstream does not come from directly from the diet, but is made internally in the liver. This may help to explain why several studies show little or no relationship between the consumption of foods rich in saturated fat and/or cholesterol, and blood cholesterol levels. If you have high blood pressure, it is essential that you DO NOT have any margarine, hydrogenated fats and cooked or heated oils - especially vegetable - these artificial substances have absolutely no place in the human body. Synthetic margarines and spreads contain a whole host of emulsifiers, stabilizers, colours, flavours, preservatives, and the emulsifying manufacturing creates a product that is far from the "healthy" product the label would have us believe. In fact, in the early 20th-century, the US Government listed margarine as a "harmful drug" and restricted its sale before taxing it heavily and introducing a licensing system! On the other hand, Butter is a totally natural and wonderful substance; it is minimally processed and provides vitamins and specific fats that nourish the body in a good way. It is without doubt a useful part of a healthy diet - in moderation of course! Fats are an important part of a diet and the negative press fails to recognise this basic nutritional fact. A healthy diet is critical for all health issues, but this is a NATURAL diet not one full of artificial fats, salts etc. Please refer to our Dietary Guidelines and the article Ancient Dietary Wisdom . 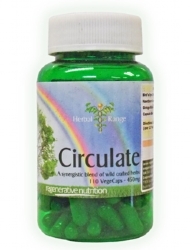 Chromium is indicated for arteriosclerosis, it helps keep blood vessels clean (along with Serrapeptase) and blood sugar problems, from low blood sugar (hypoglycaemia / carbohydrate craving and possible associations with easy weight gain), high blood sugar/ blood sugar instability right through to Diabetes, (please read the article). If you have any of these problems then supplemental chromium is sensible at 200 mcgs daily. Most people receive 30mcg of chromium from their diet, well below the optimum dose of 200mcg. Please note that there is often little relationship between RDA and optimum levels, and a lot of sickness can occur at levels above the RDA of any nutrient. However, since food state chromium is better absorbed and assimilated, 100 mcg a day in this form, may be optimal, although double this dose could be taken for a few weeks. Experiment, individual needs vary. 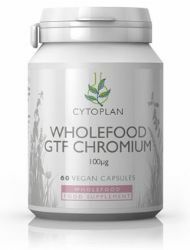 Chromium is the essential part of Glucose Tolerance Factor (GTF) and has a vital role to play in the following; carbohydrate metabolism, Insulin metabolism and balance, enzyme activity related to the metabolism of glucose and the synthesis of fatty acids and cholesterol, transport of protein to where it's needed. It may help to regulate blood pressure and cholesterol, especially if you consume a diet high in refined and processed foods. Essential for arterial health. Soil deficiencies of chromium are widespread - please refer the the article Answering Trace Element Deficiency. The supplements recommended for the treatment of Coronary Heart Disease, Circulatory Disorders, High Blood Pressure are listed below. Not all will necessarily be discussed in the article, as some may have been added after the article was posted. If a listed supplement is not mentioned within the article, or you wish to know more about any of the listed supplements, you can find out more information by clicking on that supplement below. You can also now add to your basket directly from this page.